If you’ve been using or abusing an opioid, then your pee’s been full of opioids. When your opioid-laced pee gets flushed away, those opioids wind up in our water: our reservoirs, streams and oceans. And that, friends, is why mussels are failing drug tests. According to CBS News, scientists at Washington’s Department of Fish & Wildlife have found evidence that the dregs of the opioids we consume and then whiz out are now present enough in the waters around Seattle that mussels are testing positive for oxycodone. As mussels are filter feeders, they tend to soak up environmental contaminants into their tissues in large concentrations. 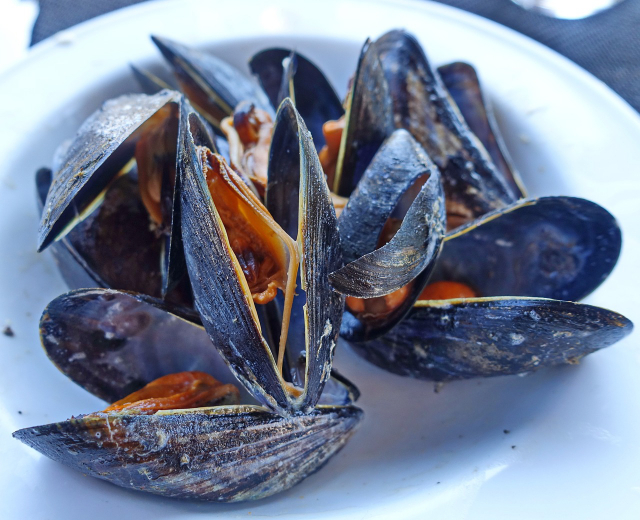 Happily, mussels don't metabolize drugs like oxycodone and thus wouldn't necessarily be physically harmed by the presence of it in their tissues, studies show that fish are not so lucky. In fact, scientists at the University of Utah recently discovered that, if given the opportunity, zebrafish will willingly dose themselves with opioids. Scientists say salmon and other fish might have a similar response. So the shellfish are safe, but man are we screwed.